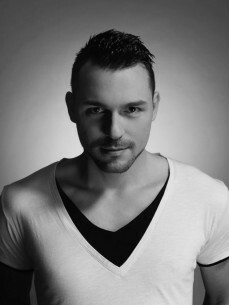 Berlin-based, Dennis Sheperd is widely recognised as one of the rising stars of global trance music. The 28 year old DJ / producer, has seen his productions consistently supported by some of the biggest names in electronic music, including; Tiësto, Above & Beyond, Armin van Buuren, Paul van Dyk, Markus Schulz and Ferry Corsten to name a few. Trance star, Gareth Emery recently described Dennis Sheperd as “definitely a hot name to watch". Dennis has graced the decks alongside every big name in trance. His ‘future superstar‘ status has been confirmed by recent gigs such as, ASOT 550 in Den Bosch (Nertherlands), ASOT 600 in Sofia (Bulgaria – where he performed to over 6000 fans), Nature One mainstage in Kastellaun (Germany) and Mayday mainstage in Dortmund (Germany - where he performed to over 10,000 fans). Christmas 2013 will see him spread his trance message across Australia on a much anticipated tour, playing the country’s biggest clubs, including Home in Sydney. 2014 is set to be a huge year for Dennis Sheperd, as he launches his own record label, ‘A Tribute To Life‘, the name for which trance fans know and love him worldwide. He will release his highly anticipated second album on the label, alongside new single releases on other eminent labels, such as, Black Hole, How Trance Works (a collaboration with Ana Criado and Cold Blue; the official follow up to the global smash, ‘Fallen Angel‘) High Contrast Recordings (a collaboration with Rank 1) and Sola Recordings (a collaboration with Headstrong). 2014 will also see the launch of the first Dennis Sheperd radio show / podcast‚ also called, ‘A Tribute To Life‘. The show will include interactive features, exclusive new tracks and remixes and the best trance from around the world. It will broadcast on the first Monday of every month on the respected channel, Digitally Imported Trance. Hailing originally from Essen in Germany, Dennis Sheperd announced his arrival on the global electronic music scene in 2007, with the original, ‘A Tribute to Life’, a statement underlining his unconditional, positive outlook, and a huge dancefloor hit, supported by some of the world’s biggest DJs. His credentials were further underlined by his subsequent signing to renowned label, Euphonic Records. Euphonic founders, Kyau & Albert called him, “Germany’s most promising newcomer in Progressive Trance”, a plaudit he quickly proved with three successful releases in 2009; Dennis Sheperd ‘Black Sun’ (Euphonic), tyDi & Dennis Sheperd ft. Marcie ‘Somehow’ (Armada Music), and Dennis Sheperd & Cold Blue ‘Freefalling’ (High Contrast Recordings). These tracks were heavily supported in clubs and on radio around the world, winning a global fan base and guaranteeing Dennis Sheperd’s status as ‘one to watch’. He won ‘Best New Artist of 2010‘ in his hometown of Essen, inspiring him to push his music career forwards, culminating in the release of his debut album ‘A Tribute To Life‘ in 2011 on High Contrast Recordings. This album made serious waves in the trance world, spawning the massive dancefloor hit, ‘Fallen Angel‘ ft Ana Criado, a geniune trance anthem that hit #1 in the Beatport Trance Chart. ‘Fallen Angel‘ remains a hugely popular track, sung along to by thousands of fans around the world when played by Dennis, and still a constant in the playlists of the biggest DJs in the scene. Other notable featured artists include Jonathan Mendelsohn on ‚ ‘Bring Me Back‘ and Molly Bancroft on, ‘Silence‘. By the end of 2012, Dennis Sheperd had carved out a reputation as a trance DJ / Producer to be reckoned with. He mixed the second CD of the massive German Trance compilation ‘Technoclub’ and collaborated with Trance/Techno legend Talla 2XLC for the single release, ‘Two Worlds’. The promo video for ‘Two Worlds’ was shot at the ‘Technoclub’ album release party in Frankfurt. Further big collaborations followed in 2012, with Markus Schulz on ‘Go!’ a track that hit #2 in the Beatport Trance charts and with Ronski Speed on ‘Karoshi’.